In Arizona, there are more than 160,000 children living in homes headed by grandparents or other relatives. Our programs help support these very special families and their potential to provide a positive alternative to traditional foster care. 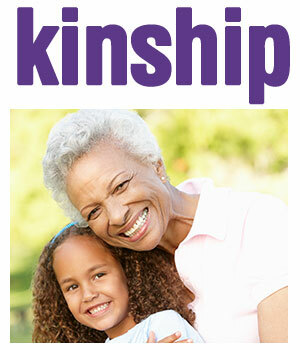 Research indicates that children in kinship care experience greater stability than those in traditional foster care. Kinship caregivers provide love and support in a familiar setting, allowing children to remain connected with their families and communities. They are able to live with people they know and trust, thereby reinforcing their sense of cultural identity and well-being. If you are raising grandchildren, nieces or nephews, cousins, or a child under 18 not born to you, our Arizona Kinship Support Services can help. Looking for services or want to learn more? Call us today or complete the CONTACT US form for services statewide. To learn more about advocacy efforts, visit the Arizona Grandparent Ambassadors website. Funded through the Department of Health and Human Services, Administration for Children and Families, Children’s Bureau, Grant HHS-2015-ACF-ACYF-CF-1008. The Tucson KARE Center is a collaboration with Casey Family Programs. Services in Tucson are partially funded under contract with Pima Counsel on Aging as part of the Older American Act Program. Special thanks to the Diaper Bank for their support of our KARE Centers.